Course Fee for Puppycom Smart Dog Training Course is RM 424 for a course of 8 lessons, 1 hour each lesson. 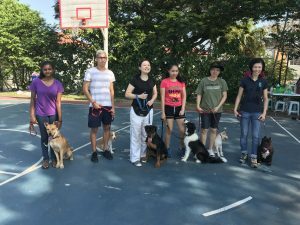 Course Fee for Prenovice Competition Class Dog Obedience Training is RM 477.00 for a course of 8 lessons, 1 hour each lesson. View course fee summary on our site.